Crafting a life I love through entrepreneurship, coaching, public speaking, globetrotting, friendship and family. The past few months I lectured on sustainability in fine dining, led relationship coaching workshops, took a solo road trip around Costa Brava, celebrated the 15th anniversary of the World's 50 Best Restaurants in Barcelona, camped with my 5-year-old daughter in Massachusetts, and was wowed at a Miele global launch in Berlin. In the upcoming months, I'm exploring Beijing, Boston, Slovenia, Moscow, Copenhagen, Lisbon, Istanbul and Seoul. And Bali is on my wishlist! Presented full-day workshops to F&B leaders and executives with World’s 50 Best Lifetime Achievement award recipient Andre Chiang on creativity, strategy, global trends and more. We gave events in three cities: Taipei, Taichung, and Tainan. I led a session on positive energy and creating original careers in alignment with our values. Top chefs and F&B leaders share their ideas at Shanghai’s most comprehensive fine dining conference to date. I presented on the topic of how China can gain global recognition in fine dining: what needs to happen? I covered chef education, innovation, sustainability, social media and more. I joined this landmark three-day event focused on sustainability to speak on a panel about locavore challenges and opportunities in China, and to meet with over 1000 chefs and F&B pros from around the world in the beautiful city of Monte Carlo—my first trip to Monaco! My recent trips and news! I've been lucky enough to be in the right time and place covering one of the world's most dynamic food scenes. I am passionate about food and sustainability, as well as the study of happiness and mindfulness. Originally from Boston, I came to China 22 years ago as a student and later worked as China correspondent for Time Warner. I'm based in Shanghai about half the year--there are 180,000 restaurants to cover in this city alone--and I travel frequently around the globe. I have been a regular guest and host on many shows in China and abroad including programs on the BBC, CNN, ABC, National Geographic, CCTV, Discovery Channel, Germany's ARD and more. I've contributed to magazines around the world including Travel + Leisure, Food & Wine, Conde Nast Traveler, Surface, Departures, The New York Times T Style Magazine, AFAR and many more. As Food Editor for Shanghai's premier magazine for nearly five years, I reviewed restaurants, interviewed street chefs and star chefs, and visited organic farms and five-star resorts. Click here for selected features. 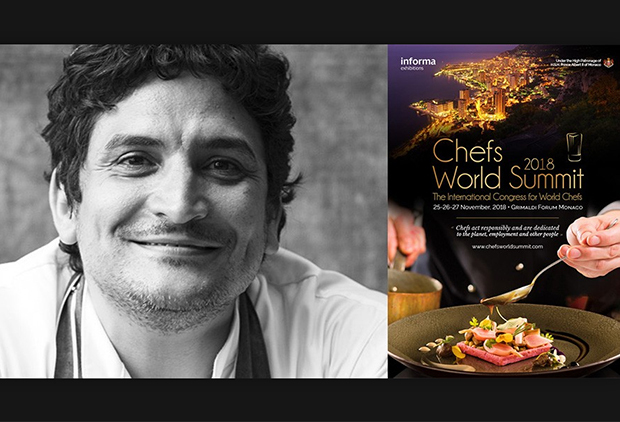 As Academy Chair for the World's 50 Best Restaurants, I represent China & Korea for the list. 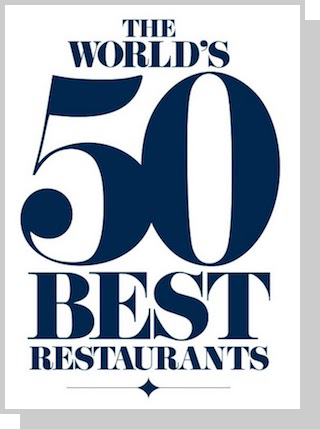 Recognized as a trusted arbiter of what matters in global cuisine, the World's 50 Best is one of the most prestigious honors in fine dining. The organization also includes The World's 50 Best Bars & Asia's 50 Best Bars. I'm Partner and Strategic Advisor for Bon App, Asia's most popular bilingual restaurant review and lifestyle app. We are the must-have app for discovering great restaurants, essential resources in your city and awesome events. Based in Shanghai, we have expanded to 13 cities in Asia including Beijing, Guangzhou, Hong Kong, Macao, Singapore, Tokyo Bangkok and Taipei. Coming to one of our cities? Download Bon App! I speak on topics from sustainability to mindfulness and connecting to our values. I have given talks at Blue Hill at Stone Barns in New York, Bellagio Shanghai, Sophia University Tokyo, The University of Toronto, and others. I consult for international brands on dining trends around the world. My clients have included Unilever, PepsiCo., Starbucks, IDEO and more. As a holistic life coach, I work with clients to grow awareness, self-compassion, self-leadership and healthy relationships. I am honored to witness my clients' transformations. I work with clients around the world, from Berlin to Beijing. I am a certified Bulletproof Coach, and I am trained in Hakomi, Internal Family Systems (IFS), and many meditation approaches.